Compressed Air Australia Pty Ltd presents the new external mix spray nozzles from EXAIR. Designed to atomise fluids in a range of spray patterns for a wide variety of applications, EXAIR’s external mix nozzles are ideal for situations that demand a high volume of liquid. They can be used on liquids with a viscosity up to 800cp. Available in a round or flat pattern, the external mix spray nozzles combine liquid and compressed air to create a coating of liquid that can be easily adjusted to meet the needs of the specific application. Their stainless steel construction adds to their durability and corrosion resistance. EXAIR’s external mix atomising nozzles can be used to coat, cool, treat and paint a variety of products. 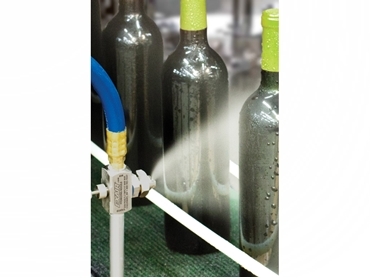 Used with water, atomising nozzles are an efficient way to evenly cool hot items in automated processes. The external mix design allows airflow and liquid flow to be controlled independently to provide precise liquid flow. 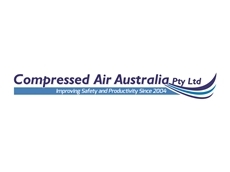 Available from Compressed Air Australia in a variety of flow patterns and rates to meet specific application needs, EXAIR atomising nozzles are offered in internal mix and siphon fed options as well as no-drip versions. All models are adjustable and come with a 5-year ‘built to last’ warranty.